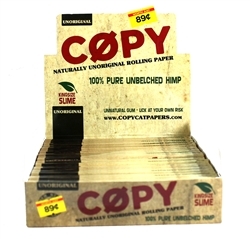 Everyone tries to copy Raw rolling papers so Raw did the same thing. They copied their own rolling paper. 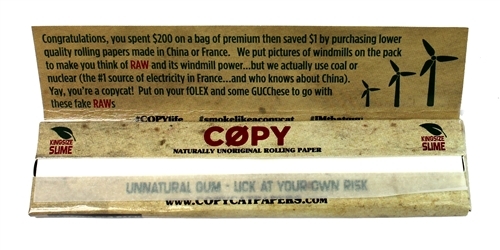 COPY™ paper was made to poke fun at all the RAWnabees. Pre-priced at 89 cents, Copy paper is a paradoy and really, really, really funny! Naturally unoriginal king size slime cigarette papers which should be licked at your own risk. Even the word hemp is misspelled reminiscent of some low quality products made in China. 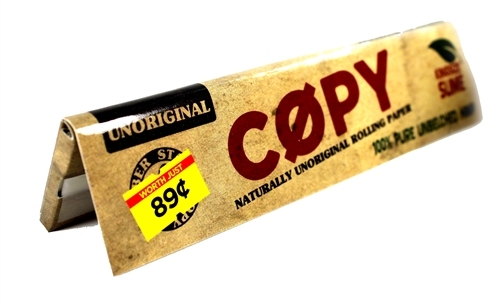 The reality is that Copy is in fact a good quality rice rolling paper made by Raw. Each display box has 24 booklets and each booklet has 24 sheets.